TERN AEKOS’s infrastructure gives professionals the unique capacity to publish and access previously unavailable fragmented ecology data from a national access point. AEKOS has a hybrid information supply chain reflecting qualities of both brokered and federated ones (more). After receiving data from the sources, information and data are transformed and mapped e with the help of data custodians onto a community-based schema, stored in AEKOS and then downloads and web services are delivered to end users. AEKOS offers self-service submission (standalone datasets) and guided data ingestion (transformed) for data upload, storage, a data portal and machine-to-machine automated data services for accessing data. In addition to standard discovery metadata, AEKOS offers reuse features such as contextual metadata to enable reliable 'fit for purpose' reuse. Self-service submission is popular with researchers wishing to publish standalone datasets with scientific papers. Once submitted, the data are peer reviewed for completeness of metadata and dataset descriptions. When finalised, they are published in the repository as a package with a DOI and important reuse features. They are openly accessible via the portal or machine-to-machine web services. Updates are published with newer versions being linked to older versions. 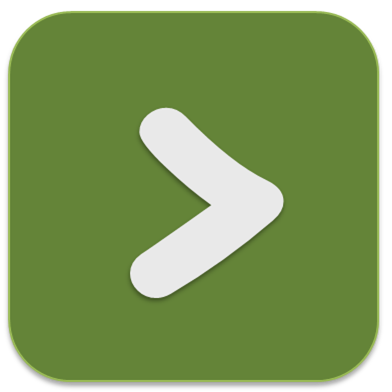 Guided data integration is a more intensive data upload for large, nationally important datasets collected robustly with good metadata and have broad coverage and/or temporal depth. These data require information modellers to effectively combine data using ontology-based data integration of ecological terms, attributes and measures and its contextual information at the site level from multiple heterogeneous sources. They have specialist ecosystem science knowledge and work closely with source data managers to develop the contextual metadata, vocabularies and peer reviewing of the data. Ingestion of collections are signed off by the source legal owners before publishing in the repository. Once published, each dataset or survey receives a unique persistent URL and is mapped with important reuse features. Data are accessible in CSV format for customised themes at the individual, population, community and biophysical levels of site information via the portal. Web services are also available for machine-to-machine operations. 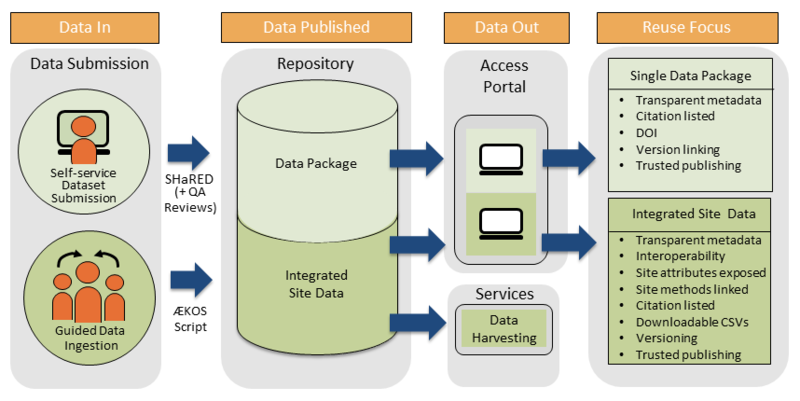 Updates of the information model and datasets (via web services) occur when new datasets are ingested and are tracked by versions. AEKOS is updated at least every 3 months. The latest version of integrated site data is only available from the portal. To obtain older versions, send a request to [email protected]. AEKOS is used by a wide range of professionals across research, government and land management. Usage divides into two groups; those wishing to publish data and those reusing the data for forecasting and reporting.